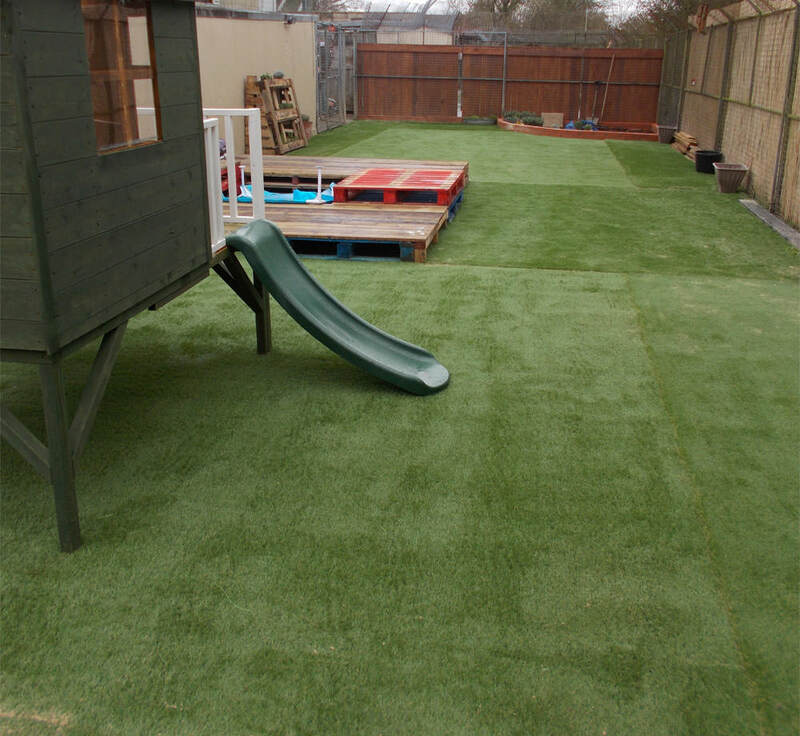 Dogs at the Foal Farm Animal Rescue Centre in Biggin Hill, Kent should see some much needed happiness thanks to Perfect Grass Ltd who have donated and installed dog run artificial turf for one of the kennels. With the help of a few other local tradesmen who also offered their manpower and materials for free the work began. The intention of the project was to brighten up the existing concrete run of one of the dog housing areas. To begin with a small wall was erected and bamboo screening was put around the outside. Fences and pallets were put together to create a raised area for the dogs to look out into the surrounding fields. And finally a doggy paddling pool was created along with a small slide and sandpit. 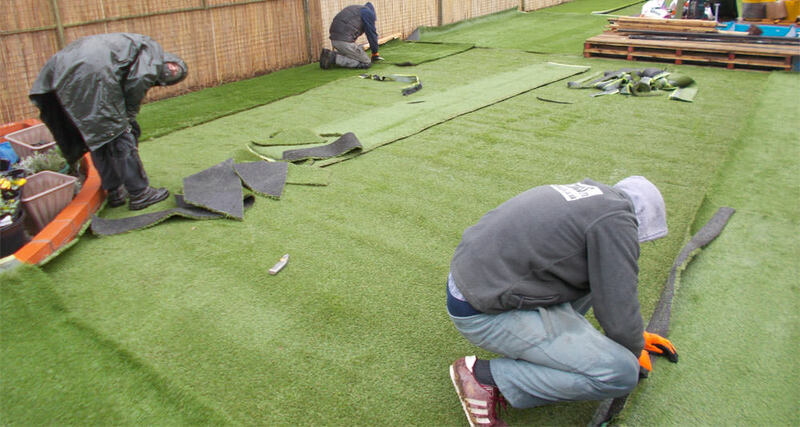 To create extra interest the bland soulless concrete was covered with nearly 100 sqm of different lengths of dog run artificial turf. This created different sensory experiences for the dogs as they walked over them.